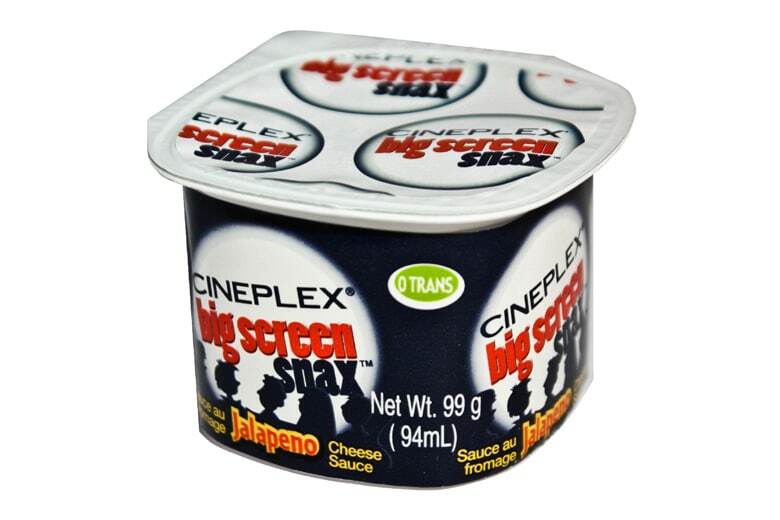 Individually produced cups filled with ready to use sauce made from a blend of cheddar cheese, natural cheese flavours and jalapeno peppers. Store cases of product in a cool dry place. Cups may be served cold or warm. If warm, heat in the warmer. If not used remove and put back onto a dry goods shelf AS LONG AS the membrane has not been compromised. Water, reconstituted skim milk (water, skim milk powder), vegetable oil (soybean, sunflower and/or canola oils), modified corn starch, natural flavour, salt, jalapeno peppers, cheddar cheese, sodium phosphate, sodium citrate, lactic acid, colour, acetylated tartaric acid esters of mono- and diglycerides, cellulose gum, acetic acid, mono- and diglycerides, citric acid, spices. may contain soy, sulphites, and/or wheat.